Boiler installers Brighton & Hove. 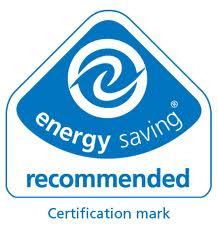 We are an Energy Efficiency Certified company. Boilers account for around 60% of the carbon dioxide emissions in a gas heated home. By replacing an old G rated boiler with a new high efficiency condensing boiler and improving your heating controls, you will significantly cut your home's carbon dioxide emissions and could save as much as £235 a year. The current lifespan of a boiler is around 15 years and fitting an A rated high efficiency condensing boiler with the correct heating controls can make a huge difference to your heating bills over time. A high efficiency condensing boiler works on the principle of recovering as much as possible of the waste heat which is normally wasted from the flue of a conventional (non-condensing) boiler. High efficiency condensing boilers convert 86% or more of their fuel into heat, compared to 65% for old G rated boilers. The right heating controls will let you keep your home at a comfortable temperature without wasting fuel or heat – so you’ll reduce your carbon dioxide emissions and spend less on heating bills. (If you have an electric storage heating and hot water system, with storage heaters use the off-peak electricity to ‘charge up’ overnight and then release heat during the day, you’ll need a different set of controls. If your home is heated by a system of water-filled pipes and radiators running from a boiler, you have a ‘wet’ central heating system, whether it is gas, LPG or oil-fired. Your full set of controls should ideally include a boiler thermostat, a timer or programmer, a room thermostat and thermostatic radiator valves (TRVs). Install a room thermostat if you didn’t have one before: £70 and 280kg carbon dioxide a year. Fit a hot water tank thermostat: £30 and 130kg carbon dioxide a year. Fit a hot water tank insulation jacket: £40 and 170kg carbon dioxide a year. Turn down your room thermostat by one degree: save around £55 and 230kg carbon dioxide a year. You can upgrade or install heating controls without replacing your boiler, and it’s a particularly good idea to think about this if your controls are over 12 years old. Room thermostats, for example, are much more accurate than they used to be. Your room thermostat should be set to the lowest comfortable temperature - typically between 18°C and 21°C. Try turning your thermostat down a degree or two and seeing if you still feel comfortable. You don’t need to turn your thermostat up when it is colder outside: the house will heat up to the set temperature whatever the weather. It may take a little longer on colder days, so you might want to set your heating to come on earlier in the winter. Please note: We would not recommend using radiator covers because thermostatic radiator valves (TRVs) sense the air temperature around them and control the flow rate depending on what level they're set at. Having a cover over the radiator means that the TRVis enclosed, which is likely to make it think that the room temperature is higher than it actually is - because heat will be trapped between the radiator and the cover. Save money by not overheating parts of your home that are unoccupied or need lower temperatures – bedrooms or rooms with lots of glazing, for example. You can have separate heating circuits with their own programmer and room thermostat (or programmable room thermostat) or set zones by using thermostatic radiator valves (TRVs). Cylinder thermostats are usually fitted between one quarter and one third of the way up the cylinder. They have temperature scales marked: you should set them at between 60ºC and 65ºC. This is hot enough to kill off harmful bacteria in the water, but it s also hot enough to scald. For extra safety consider installing a thermostatic mixing valve which will automatically ensure that hot water is at a safe temperature. This is not a control but a system of wiring that turns the boiler off when neither the room thermostat nor the cylinder thermostat needs it. Without this the boiler can continue to ‘cycle’, wasting energy. You can now set your timers including the warm up and cool down time. So, for example, you can make sure that the heating goes on with a warm-up time before you wake up and turns off before you leave the house. If you insulate your home, it will warm up more quickly and cool down more slowly, so you’ll save money on heating. If you insulate your home, it will warm up more quickly and cool down more slowly, so you’ll save money on heating. Set your water to heat up only when you need it: keeping it constantly hot uses energy. If your hot water cylinder or tank is well enough insulated, you may even find that the morning’s hot water stays hot enough to use in the evenings. For information on energy efficiency, you can give us a call or e-mail via the 'contact us' page.